Notice: WSJRENEW is not affiliated with the Wall Street Journal nor Dow Jones. We are a third party affiliate and your purchase will not be active for the first 48 hours. Visit "contact us" with any questions. 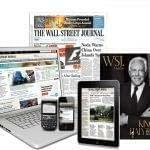 The Financial Times, one of the world’s leading business media organizations, is recognized globally for its authority, integrity and accuracy. 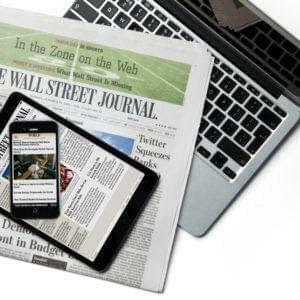 The Financial Times provides a 360-degree perspective on global business and geopolitical news by harnessing a worldwide network of award-winning journalists who deliver extensive news, comment and analysis. The Financial Times is much more than a business newspaper, it is an intelligent and stimulating read covering everything from in depth art reviews to new discoveries in food and wine and interviews with the day’s luminaries. Love the ePaper on my iPad! The price is half what I was paying a couple of years ago when I ordered directly from WSJ. The Journal is delivered daily before 6 AM to my driveway, and I love reading it while the news is fresh. I was skeptical but so far so good. The delivery started about 10 days after I signed up and I’ve gotten it every day since. My subscription is still new (less than a month) but so far I am very happy. Excellent customer service. Journal available when stated! So far so good. I was surprised that we did not get a paper on Monday the 4th as was in our agreement. I almost wrote about that wondering if there would be a paper the next day. Fortunately there was. 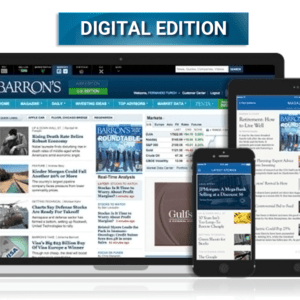 This was a good deal for a digital only WSJ subscription. I appreciated finding a site with discounted rates....and I also got a bonus with really fast service. Much appreciated! I was pleasantly surprised to be able to get answers to questions via email. A delivery glitch last fall was quickly remedied. No complaints. 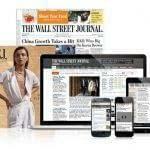 wsjrenew is an excellent way to keep your WSJ publication and save a lot of money on top of it. I highly recommend going this route over WSJ directly. Good to deal with, very responsive about start and stop dates, rapidly responds to questions and concerns - finds answers AND a good deal! 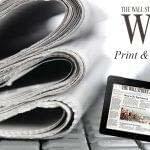 I've ordered both print and digital only subscriptions to the WSJ . Subscriptions started when expected and I've never had any issues accessing content. When I needed my login credentials, I received a response within a day. I'm highly satisfied with my experiences subscribing. Satisfied. Reliable service and saved money. Good support if you have questions. Excellent service, punctual, budget friendly, answers all questions if problems develop and resolves them in a timely manner. Excellent I am extremely pleased with them; when I contacted them, they got back to me! Im currently on my renewal of the WSJ with these guys and must say they have come a long way from my first subscription. Much easier and costumer friendly today. Even purchased subscriptions for our kids for Christmas.